Great Gear for your professional Image that is functional as well! SafariLand On & Off Duty Holsters, belts and accessories for Law Enforcement, Military and civilians. If you want something not shown, give us a call toll free at 1-877-670-GEAR(4327) and we'll be glad to assist you. You may also email us with a question at: INFO@DavesUniforms.com. 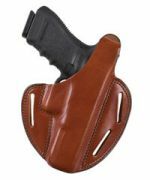 Law Enforcement, Military and on as well as off duty holsters, gear and accessories. If you want something not already shown, give us a call toll free at 1-877-670-GEAR(4327) and we'll be glad to assist you. You may also email us with a question at: INFO@DavesUniforms.com. Fobus Holsters Fobus Holsters are the next wave in concealment holsters. FOBUS holsters feature passive retention with rapid deployment, are combat tested, perform in all situations and are comfortable to wear.